How do you think the people who live on the right feel about the people on the left? How might the people on the left feel about the people on the right? What does it make you think? What does it make you feel? Explain your response. What sort of person has an apartment like this? What sort of job do you think they do? Where in the world do you think they are most likely to live? Are there any areas in the world where you think they are unlikely to live? How does this make you feel? Is it “fair”? 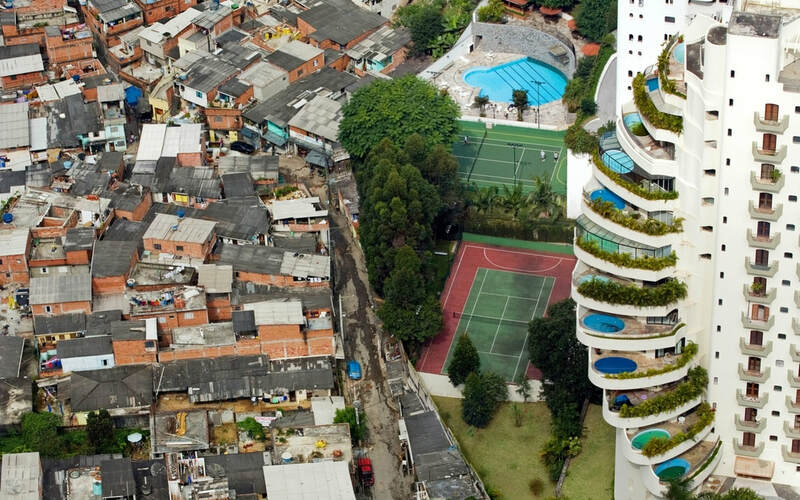 Why do you think we have such big contrasts between rich people and poor people in the world? How does your life compare with other people in China? In other places around the world? 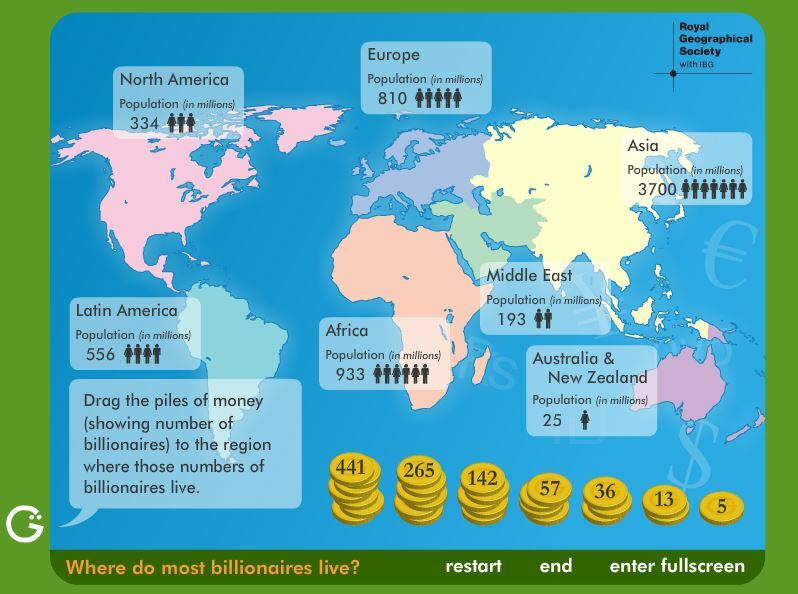 Use the completed map to write a paragraph which describes the distribution of billionaires. Your paragraph must include the names of the regions and quote actual figures. Explain that the distribution is uneven and give evidence to back up this statement. Remember to use connective/comparative words: whereas, in contast, however, although. ​Where in the world do you think the number of billionaires is growing fastest? Why? Is it okay for someone to be a billionaire? Should people be this rich in a world where some people are still so poor? Justify your opinion as fully as you can.